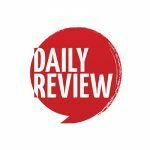 WATCH: Tim Minchin plays Trump in Matilda parody | Daily Review: Film, stage and music reviews, interviews and more. Tim Minchin has previously suggested that Donald Trump’s presidency might be beyond parody, but the composer and comedian seems to have changed his mind. On Monday night’s episode of The Late Late Show with James Corden, Minchin appeared in Donald: The Musical, a rewritten version of his Matilda hit song When I Grow Up. Minchin played Trump alongside Corden as Steve Bannon, Abigail Spencer as Kellyanne Conway and Ben Platt as Sean Spicer. Oh whoopee it is a song about ME and when I grow up I will have someone tell me what it meant but by then I have made life miserable for everyone especially those who voted for me ! If only the Donald had a brain that worked like Tim’s!